RUSH: Julie in Buies Creek, North Carolina. Hello. CALLER: Hello, Rush. It’s an honor to speak with you. The reason I was calling is because I wanted to draw attention to the way Obama has been treating Israel. It’s a disgrace the way Netanyahu was treated (scoffs), but I subscribe to Joel Rosenberg’s website, and on his website today Rosenberg says, one of the most disturbing things was not only the way Obama has been pressuring Netanyahu to give up land in Jerusalem, but also he spent most of the day on the phone yesterday with Britain, France, and Germany trying to basically convince them to do the same. I guess the reason it’s so upsetting is because this is the first American president that has ever tried to basically create an alliance against Israel, one of our greatest allies. RUSH: Yeah, I know. I’ve said it all, but I’ve got the solution to the problem, and I’m going to tell you. CALLER: (giggling) There you go! (giggling) There you go. 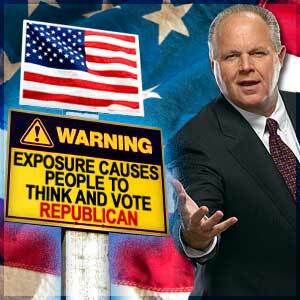 RUSH: It’s all they’ll have to do, change the name of the country to ‘Iran’ and problem solved. (laughing) (interruption) What, Dawn? You think I’m going to get in trouble for saying that, Dawn? Gee whiz, don’t get defensive and scared on me in there. (laughing). Well, doesn’t that perfectly illustrate what the hell is going on? RUSH: Daniel in Cedar Springs, Michigan. You’re next, great to have you here. CALLER: It’s great to be with you, Rush. A real honor. CALLER: I’d like to make a couple of comments about the media’s coverage of Israel’s building in the Jerusalem area. CALLER: I lived in Israel for 12 years with my family, 1988 to 2000, and I have to say that it was really annoying — not only to me but to most of the Israelis I knew — to listen to the media hack their situation to death over there in favor of the Palestinians. Not that I’m against the Palestinians, but I’d like to give a couple of talking points here if I may about what’s in the media. CALLER: I get so tired. The BBC, you know, calls it ‘illegal settlements.’ It’s so maddening. And even Fox radio calls them ‘settlements.’ This is not part of the West Bank. This is greater Jerusalem. RUSH: Which is their capital. RUSH: And, by the way, at best this is a big misunderstanding because these are perfectly allowed under whatever agreement has been made. RUSH: These 1600 have been agreed to. CALLER: Yes, and these are neighborhoods. They’re not ‘settlements,’ not like someplace out there that’s just starting. In fact, the place they are talking about is called Ramat Shlomo or Solomon Heights and this is built in 1993. It started then and 16,000 people live there now. So they’re just adding apartments because there’s no place for them to go. People that are having new family, they want to build there. They can’t live there. There’s no place to go, and then other point is they talk about East Jerusalem. These apartments, these neighborhoods are in north and northwest Jerusalem, and that’s significant because it’s in the eastern part of Jerusalem where you have a higher concentration of Arab neighborhoods, and they’re more sensitive about building in those areas, and that’s understandable, but this is not in that area. So, you know, if your listeners are interested in talking points, that, I think, is helpful. RUSH: I think what people are interested in here is the fact that this is a perfect example of a ginned-up controversy brought about by the Obama administration, sending Vice President Biden over there. This administration is poking Israel in the eye every day, on purpose. I said earlier that I’m going to call Bibi and solve this problem easily. It may be tough to get it through the Knesset, but if you just change the name of ‘Israel’ to ‘Iran,’ problem solved! You’d be treated with respect and love and devotion. ‘Peaceful coexistence,’ diplomatic relations! Nobody will tell you to give up any of your country. Nobody will tell you to make peace with your enemies. Nobody will tell you anything if you just call yourselves Iran. Just get rid of the name Israel.